October has been such a fast moving month. We have so many incredibly exciting projects coming up both at the day job and the Pinup side of things too and I will be sharing more soon. 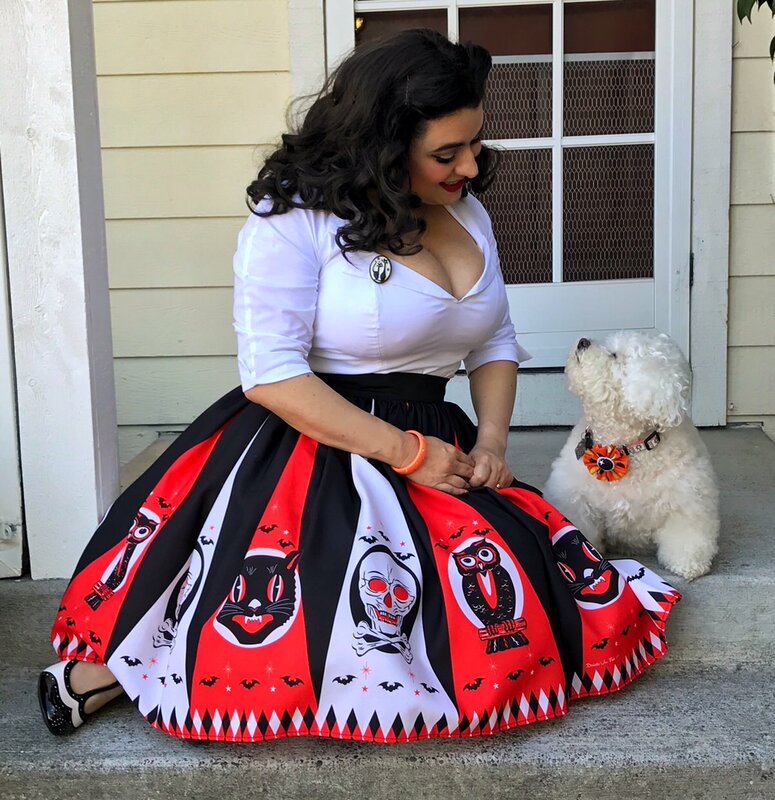 I hope all my blog readers have been wearing their favorite Pinup Rockabilly dresses and skirts this month as there has been an incredible selection created by our favorite brands for Halloween and Fall. 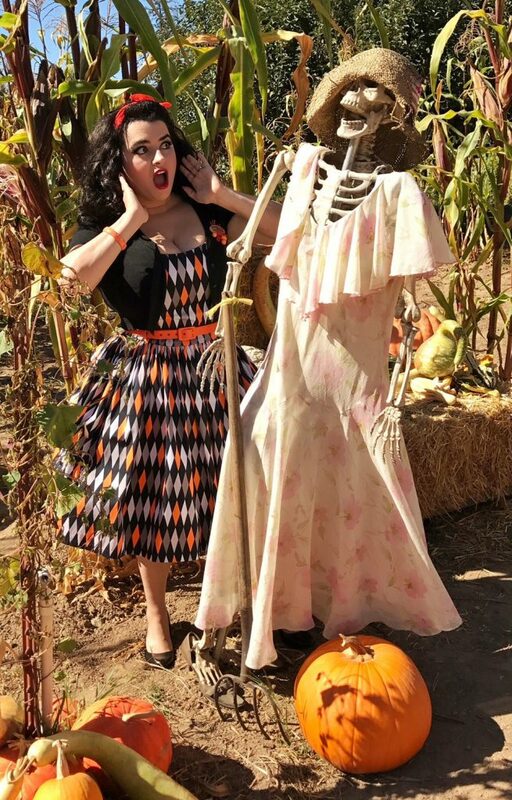 When Pinup Girl Clothing announced they’d be coming out with a limited edition Halloween harlequin print I clicked the wait list as soon as I found out it was a Jenny dress. I already had it all planned out that I’d be wearing this dress to the pumpkin patch. 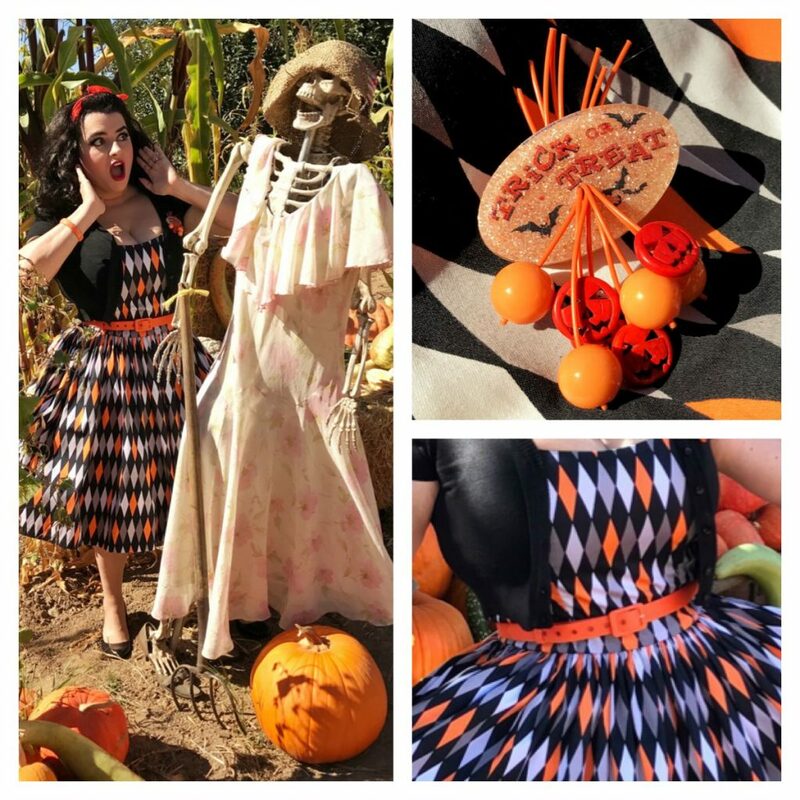 I styled the Halloween harlequin Jenny dress with my orange belt from the Orange Boarder print Jenny dress and added a short sleeve cardigan and my adorable vintage Halloween Treat brooch with jack-o-lanterns by Luxulite. We had so much fun at the pumpkin patch!! 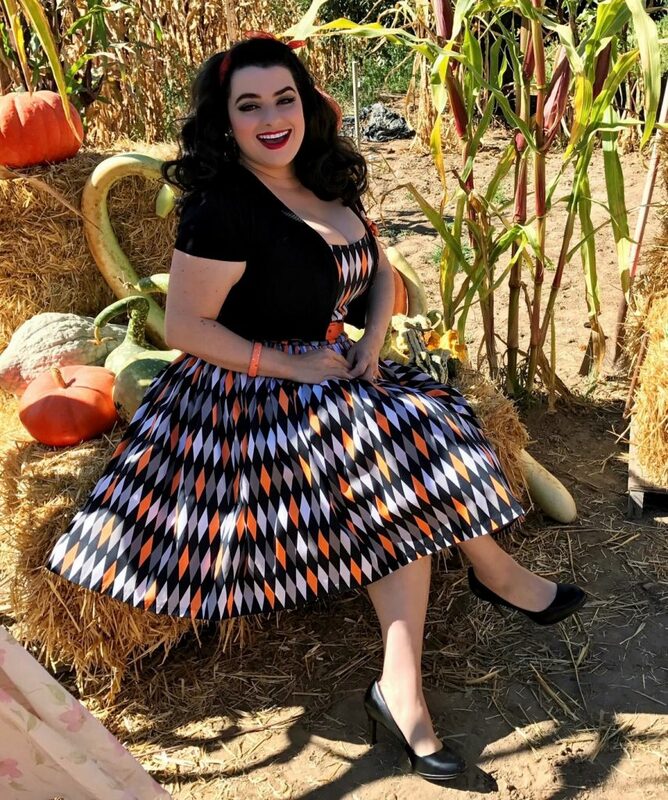 I still think this is the perfect Halloween Pinup girl skirt and it is the Halloween Treat skirt from The Oblong Box Shop. The print evokes vintage Halloween perfectly with scary and spooky nostalgic black cats, bats and skulls. I paired this skirt with my Doris top from Pinup Girl Clothing and think the combo is perfect 1950s Halloween bombshell! !